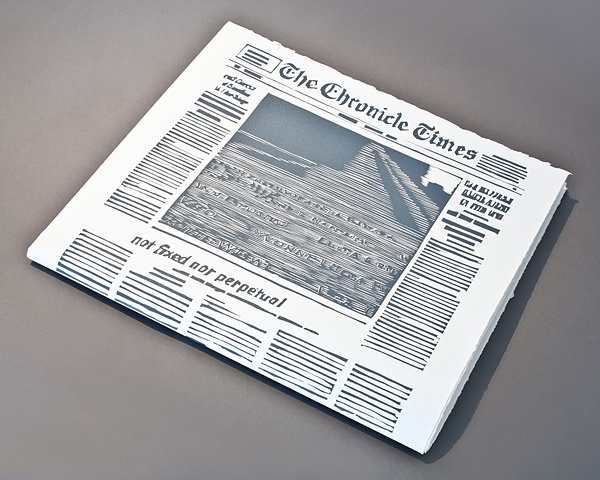 The Chronicle Times is a newspaper artist’s book printed from 8 linocuts. Changes in our news delivery systems are suggested in some of the articles and some invented headlines. Hand-carved rubber stamps show a few highlights of this history.